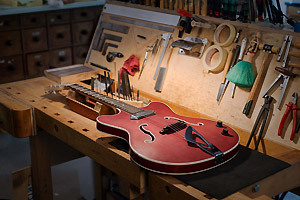 ABM produced guitar parts for more than 65 years and is long-term supplier for market leaders such as Gibson or Gretsch. Currently we support a total of 12,000 luthiers, music retailers, distributors and musicians worldwide. We can make any guitar hardware that can be milled or machined from solid metal. The base for this may be a variation of an ABM article or your product development, whether prototype, small batch or bulk order. 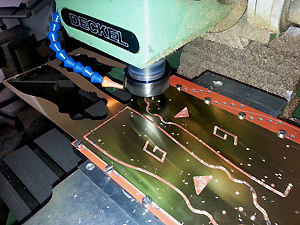 Unlike other metal processing plants, we know very well as a manufacturer of guitar components what matters. Our knowledge saves you effort and cost. Your drawing is checked for errors, feasibility and compatibility with instruments and industry standards. To keep the cost low base, CAD data (IGES or STEP) is very welcome. ABM will treat your data to always discreet and takes you to the finished product. Please make sure that your product idea precludes a patent claim of third parties. The combination of craftsmanship and CNC manufacturing ensures you a high-end product made of of massive metal such as bell-brass, aluminum, steel or titanium. But silver has already been processed. Based on "tonal belief" we do not manufacture die-cast products, but mill our products of high density materials exclusivly. ABM parts are finished with high quality metal jewelry surfaces whose influence on the vibration behavior and the sound development is very low. Among them are: Nickel, chrome, black chrome and 24-karat gold. We offer these in various designs like high gloss polished, sandblasted matt, matt brushed or subtly aged up to "heavy relic". Each ABM product also includes a good conscience. We maintain decent working conditions and the high environmental standards of the European Union. Our recycling covers almost 100% of the materials and packaging used. The electroplating is ISO 9001 certified and cleans waste water very efficiently without demonstrable environmental burdens. If you want to completely exclude the topic of "allergy" among your customers, please choose chrome surfaces or non-plated itemsyour customers, please choose chrome surfaces or non-plated items. ABM products enyoing increasing popularity, like many guitar makers and service workshops prove around the world. 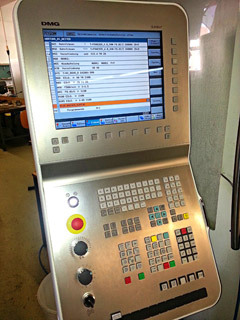 Please see the image aside showing GUITARDOC`s workbench in Berlin. As the delivery time of a Custom Shop project depend by expenditure and production capacity, we thank you for a timely asked request. Your project including a forerun may need 12 to 16 weeks from A to Z. It would be our great pleasure to win you as a long-term partner.